TM-Town matches new work based on your past translations. 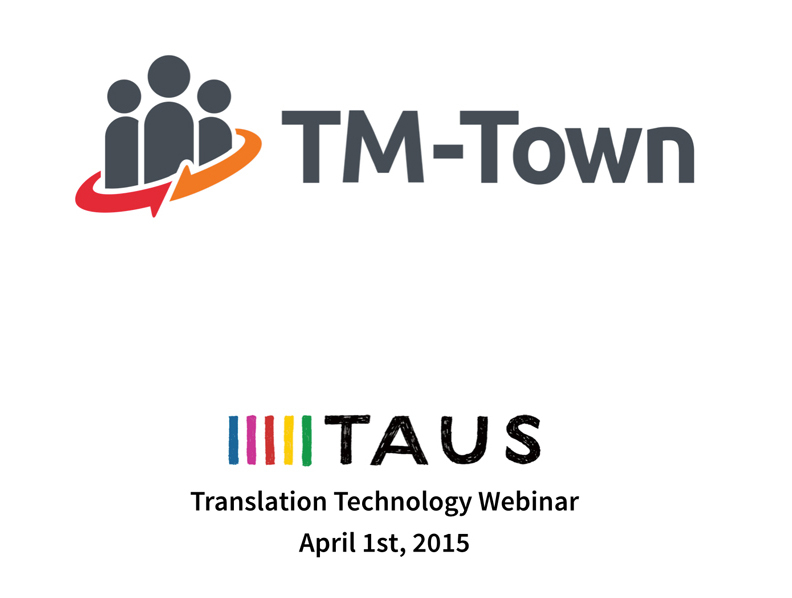 Next week TM-Town will be presenting in two separate free webinars - one hosted by TAUS and one hosted by ProZ. In both webinars I will demo different features of TM-Town and how to get the most out of your translation memory. If you are interested in learning more about TM-Town, or how to get the most out of TM-Town as a translator, be sure to sign up for one of the free webinars below. If you haven't signed up yet for TM-Town, give it a try - registration is free. TM-Town is the next-generation platform for freelance translators. Join today and let your work start working for you. If you would like to leave a comment please sign in to your TM-Town account. If you are not a TM-Town member you can easily register for a free account. Sign up for TM-Town's mailing list in the top left of this page if you would like to learn more about how to put your work to work for you.